A test program launched by a Chinese conglomerate could revolutionize the way businesses process expenses. Earlier this month, the Wall Street Journal reported that Wells Fargo & Co. took disciplinary action against dozens of employees for violating the firm’s expense policy. The staff—mostly junior analysts in the company’s San Francisco office—were discovered to be ordering food earlier than the after-hours meal policy allowed for, then doctoring the emailed receipts to submit for reimbursement. When executives noticed the alterations, they launched a review of the company’s expense filings going back months. The investigation forced the firm to delay bonuses and terminate a number of employees. Wells Fargo has certainly battled their share of scandals recently, but they are far from the only company to deal with this issue. Each year, expense fraud costs US businesses almost $3 billion. The median loss per incident, according to the Association of Certified Fraud Examiners, is $40,000. It’s among the hardest types of fraud to detect—nearly impossible without expense software designed to analyze patterns—and afflicts every kind of organization, from small businesses to regulated behemoths. One reason expense fraud is so rampant is that businesses still rely on receipts to document the details of transactions. The system is antiquated and inherently insecure. But with the emergence of blockchain technology, it is for the first time possible to envision the solution: a post-receipt world full of accurate, canonical transaction data. Receipts are easier to forge than ever before. Free online generators create imitation receipts that easily pass the eye test. Even if you were looking for forgeries, you probably wouldn’t catch them. 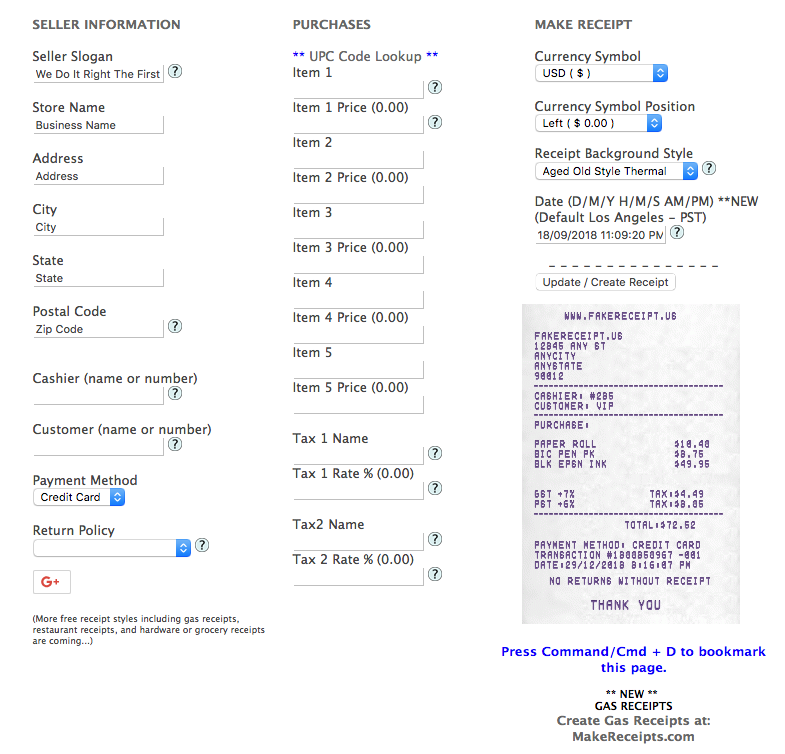 Receipt generation sites like this produce realistic fakes for free. Expense software like Abacus solves that particular risk by ensuring that receipt data matches data pulled from card transactions. But many companies still aren’t using expense automation, and even those that do are still susceptible to determined fraudsters. In the event of a cash transaction or a purchase made to look like a legitimate business expense (think altered time stamps, bundling business and personal expenses, dinner tabs that hide alcohol purchases) there’s really no way to prevent a malfeasant employee from gaming the system. Simply put, verifying transactions with receipts is a flawed, antiquated practice. What’s needed is a new system of recording and transmitting transaction data; a system that doesn’t rely on the integrity of the employee. In blockchain, we may have a solution. Blockchain is a distributed ledger technology that allows parties who don’t necessarily trust one another to engage in direct transactions. 1 It’s generated a lot of hype in the last few years, driven in no small part by outlandish predictions about the technology’s potential. But secure, automated documentation and smart contracts have already proven valuable in the prevention of forgeries and fraud. The technology could revolutionize the way we track consumer payments, and in turn, the method finance teams use to obtain the details of a transaction. In a blockchain expense system, instead of relying on employees to turn in pieces of paper generated by the vendors they’ve transacted with, expense software could validate or even create expenses using records generated directly by the vendors. No employee involvement would be needed, and there would be no chance of malicious alterations. Just automated, secure expense data from the source. Far from a fantastical cypherpunk vision, the idea of putting consumer transaction records on a blockchain is already being tested by one of the world’s biggest companies. WeChat, a social media app owned by Chinese tech conglomerate Tencent, recently launched a pilot program connecting its payments app with a local restaurant. 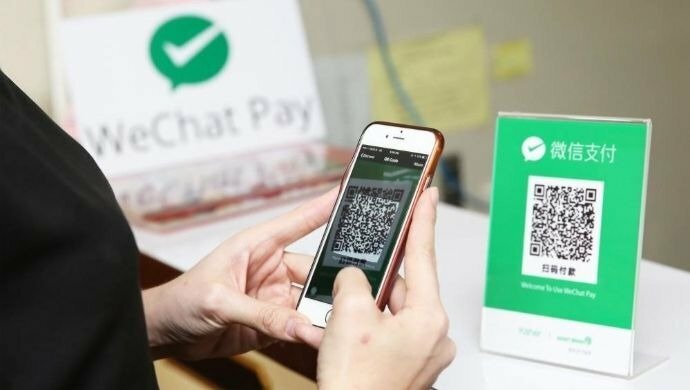 When a user pays for a meal with WeChat Pay, the app will feed the transaction data to a blockchain, where it will be connected with “the user’s employer, the restaurant and Shenzhen’s local taxation authority,” according to CoinDesk. The project is being launched, initially, to test ways to streamline China’s complex process of expense submission. Currently, an employee intending to submit a bill for reimbursement must have the vendor issue a special, government-approved receipt that includes the employer’s taxpayer ID number. It’s a painfully manual process. If a blockchain-based system replaces it, however, that fraud-ridden workflow will give way to something that not only empowers automation — both in expense submission and in auditing — but supplies it with incorruptible transaction data. Blockchain, in other words, enables not only automation, but a simplification of data architecture. Imagine your finance team reviewing expenses created automatically from the exact same data used by the restaurant’s accounting software to calculate their cash flow. It would spell the end of employees having to send in receipts, which would spell the end of receipt fraud entirely. In a financial environment automating in every corner, that’s a development long overdue.